Home - isn't that the loveliest word...I always remember that line from The Wizard of Oz, where Dorothy is waking up from her dream state and saying out loud : "There's no place like home, there's no place like home "...and its so true. The older I get the more I appreciate and love being at home. In my younger years I had a bit of wanderlust and desire to see the world (which I did, the parts I wanted to see that is :), but now there is nothing I love more than cooking dinner, knowing my husband will come home and enjoy it with me, in our clean, quiet, humble home. Home for me is a place of contentment..and where I choose to use my gifts of creativity. That may be in cooking, gardening, or craft. It's never a drudge to me, rather I find it a joy. I've just spent an hour or so writing out..well copy and paste more like and then printing out bread recipes. Periodically I go through a season where I want to make bread and experience the wonderful aroma as it bakes. I watched this video below on youtube and was even more inspired, even though I'm not really a white bread gal. 1. Its more nutritious and you can add whatever you want to in it. 2. It seems to be better for my whole digestive system and body in general. No more upset tummy, like I get when I eat regular bread from the supermarket. 3. It's cheaper :) and puts the most wonderful, earthy, homely aroma into the atmosphere. This week I've mostly been making bread in the bread maker as I havn't been feeling the best, some sort of Winter virus thing...sigh. So far I've made Oatmeal/Milk & Honey bread, which was very delicious and wholemeal/seed bread - with a mix of seeds: linseed, chia, sunflower& pumpkin. I also occasionally add in some ground cornmeal and Barley, which I grind with this little guy: My Snitzer Pico electric Grain Grinder. Its the smallest model, but adequate for our needs. 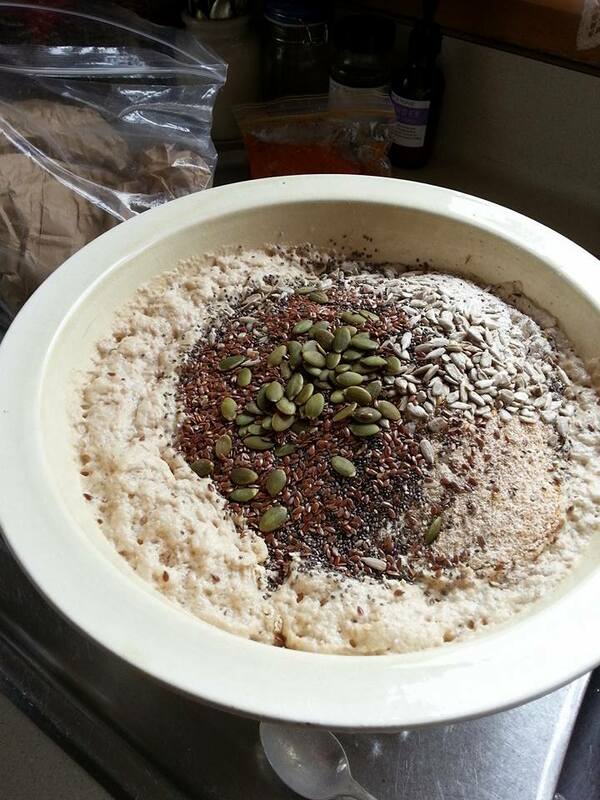 Another bread I often make is 'Crunchy Bread'..full of lots of seeds too. As soon as this bread is baked and cold, I slice it thick and freeze it, as it makes the most wonderful filling morning toast. But often I'll sneak a quick slice, with a little butter and peanut butter or Marmite (Our Mate) !! such fun adding in all that nutritiousness. 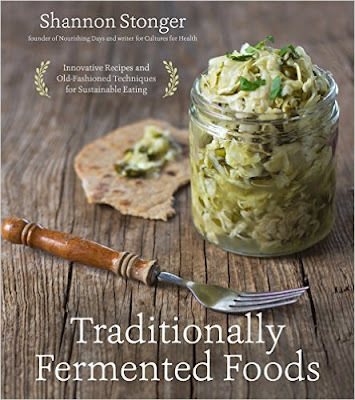 is a foodie book all about fermentation. 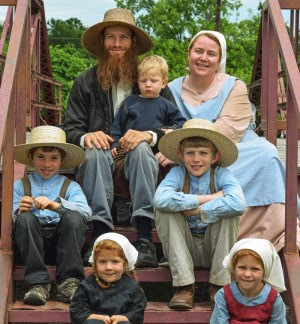 This is the family from Nourishing Days Blog (No, they're not Amish). and I have to say, it is the most well written, thoroughly researched book I have ever read on this subject. I am yet to start making her sourdough recipe. It takes a week to make the Sourdough Starter, so quite the process initially and I have to be fully up to speed to start something new. If I get around to it, I'll post some pics as an update to this bready post. Well that's all for now. If anyone reads this and is also enjoys bread making I would love to hear what you bake. Website: To visit just click on the image. ♥ Hi, my name is Linda. 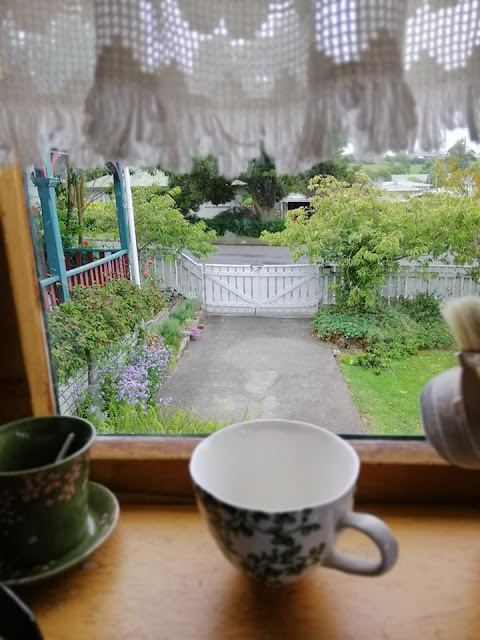 I live in an old villa in a small country town, with my dear husband of 30 + years. I love the Lord, my beautiful family and our large messy garden. 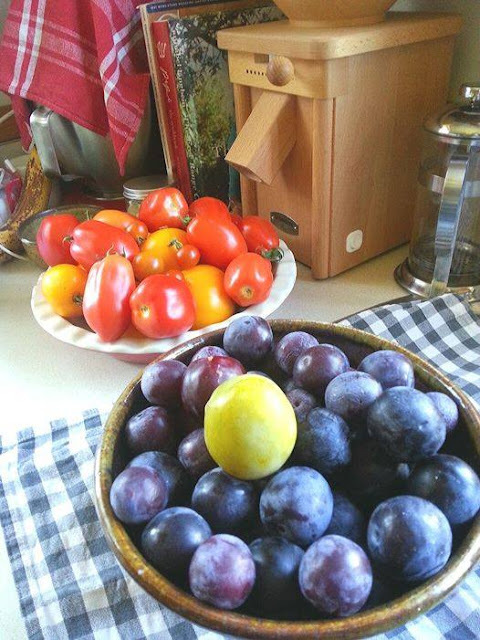 From it spring my other passions - soap making, herbs, cooking & preserving food. This is where I like to share it all. Please stay a while. Quaker Farm, Michigan, Rough Collies, Cotswold Sheep, Homesteading and sustainable living articles.